offer is valid until September 15, 2010 - Register online. 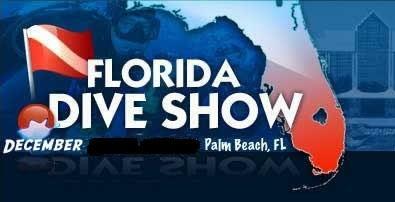 Welcome to the Florida Dive Show! Florida’s Only Consumers Scuba Diving Show Over 75 Exhibitors and Friday Night Film Presentations presented by BackScatter, hosted by Berkley White. If you into Scuba Diving or Not, this events will show you more about diving under one roof. Learn what it takes to become a scuba diver, learn what it takes to become a professional dive instructors and more. Meet Manufacturers Represetatives from major manufacturers and more. And as always Kids under 16 are FREE!